A+ RV Inspections is currently unavailable for third party objective inspections, as the owner has taken a full time position at a dealership. Please go to nrvia.org to search for active inspectors. Happy camping! Why choose A+ RV Inspections for your RV inspection? What Is an A+ RV Inspection? An A+ RV Inspection is a home inspection for your RV which evaluates the safety, function, and form of your potential purchase. The points of inspection, which are listed in detail on the Services page, include an examination of potential life safety issues along with the functionality of appliances, electrical and water systems, slideouts, awnings, doors, windows, roof, sidewalls, engine, running gear, and tires. Why Do I Need an A+ RV Inspection? RV systems can be more complex than those of brick and stick homes, and they are squeezed into much smaller spaces. This creates the potential for problems. Add the rigors of road travel, shoddy workmanship, or lack of maintenance, and major issues can appear. 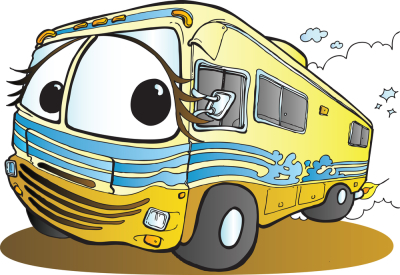 If you wouldn't purchase a home without a home inspection, don't purchase an RV without an RV inspection!